In a league of its own. The Mach X is at the forefront of basket technology and reliability. 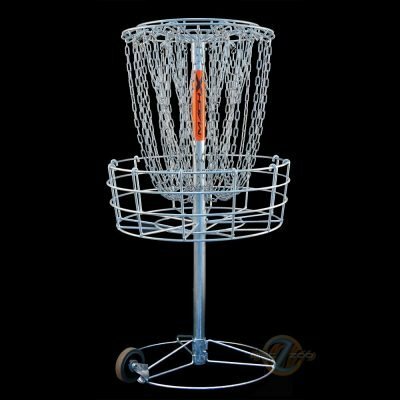 The sport of disc golf was formally defined by “Steady” Ed Headrick and DGA with the development of the first Disc Pole Hole, the Mach 1. Since that decisive moment, DGA has been on the forefront of basket technology and development. DGA baskets are the most respected, reliable, and on more courses than any other basket in use today. Today, DGA continues on the path first defined by its founder, “Steady” Ed. The development of the Mach X is….Disc Golf Redefined. All DGA Mach X baskets are supplied with the Deluxe Mounting Option. This includes a lockable collar and ground anchor, giving you the flexibility to have multiple basket positions. The portable base shown in the picture is also available on request. Disc Zoo offers a complete Disc Golf course development service, and discounts are available for complete course installations. We can provide you with help and advice at every stage of the process, and will create a bespoke course package for you. The most unique and functional design feature of the Mach X is the unified chain design. All strands of chain within this design are connected to one another through the single ring at the bottom of the chain area, which acts as the hub. The Unified Chain Design works together to stop and catch the incoming disc. The Mach X utilizes 16 outer strands of chain and 16 full-length inner strands of chain. It also incorporates 8 smaller intermediate strands of chain. That’s a total of 40 strands, making chain counting a thing of the past. Starting with the reflex chain design first incorporated in the Mach Lite, DGA has taken this concept a step further. A third, smaller strand of chain has been added that has multiple benefits. 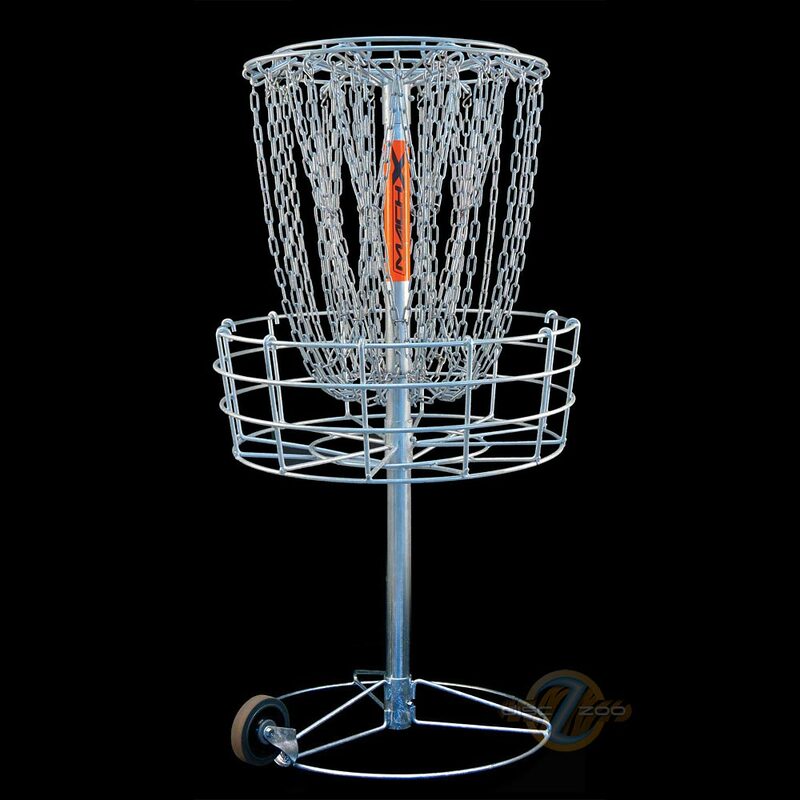 The inward angle it creates as it approaches the connection ring acts as a guidance feature that redirects the disc downward, ensuring it comes to rest in the basket. The added benefit of this smaller strand of chain is that it closes the gap between the inner and outer sections of chain, assisting to prevent a “spit through” on putts that miss slightly left or right of center. Much like the core of the human body, the inner section of chain on the Mach X provides its strength. Stainless steel rings connect the continuous strands of chain to form an X pattern and work like a glove to stop the momentum of the disc, while protecting the disc from hitting the pole and causing “bounce outs”. The inner strands of chain also support the weight of the lower ring and outer strands of chain. This added weight puts more tension on the inner chain, helping to slow and stop the incoming disc. Re-examining the “Soft Chain” concept first utilized by “Steady” Ed on some versions of Mach III’s in the early 1990’s, DGA determined that the principle still has merit when used in conjunction with other Mach X features. The “Soft Chain” creates an outer barrier of chain that doesn’t stop the disc, but slows it down just enough to envelop it. From there the firm inner chain stops the disc. This “Ying and Yang” of soft and firm chain is a perfect marriage of concepts. Adding to the Unified Chain Design concept of the Mach X, we have taken the next step in basket development by connecting the inner and outer sections of chain together near the bottom of the chain assembly. This section of connected chain strands help to absorb the energy inflicted onto the soft outer chain section, allowing this chain to stay in position.